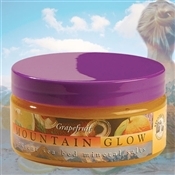 Lavender & Tangerine: Mountain Glow's best-selling flavor! Such an unexpected and such a totally satisfying combination of scents. 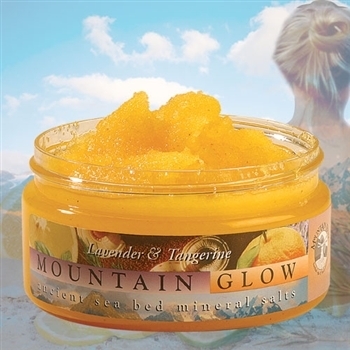 Like all Mountain Glows, it exfoliates and softens your skin, using fresh fruit extracts, healing mineral salt from the Great Salt Lake Basin, & avocado, sesame, apricot kernal, and jojoba oils for superior skin nourishment. Mountain Glow 8 oz. - Grapefruit Large Tropical Mermaid Shampoo & Conditioner Set Mountain Body Products | 7th Crown Chakra Dead Sea Bath Salts Mountain Body Products | Arnica Extract Infused Massage & Bath Oil - 4 oz.